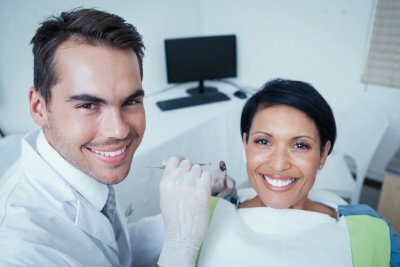 A top dentist in NYC regularly recommends dental crowns and dental bridges for clients in need of dental clinic treatment. Both crowns and bridges are permanent solutions. The best dentist might recommend a crown to fix a damaged or weakened tooth, while bridges are suggested for patients with missing teeth. Both crowns and bridges improve upon the smile’s aesthetic appearance and overall dental health. Read on to find out how crowns and bridges are made, how they work, and how long they can be expected to last. Crowns entirely cover or “cap” damaged teeth. They also improve the appearance, shape, and alignment of teeth. A crown can be placed on top of a dental implant to create a natural-looking prosthetic tooth. Bridges, on the other hand, are recommended to fill spaces where one or more than one tooth is missing. Bridges are cemented to a natural tooth or tooth implant. For crowns and bridges to be placed, a dentist first reduces the size of the natural teeth to make room for the prosthetic. Next, your dentist will take an impression of your teeth to create an exact mold for the crown or dental bridge. A dental lab creates the prosthetic teeth in porcelain, ceramic, or metal, depending on your needs and oral health. Crowns and dental bridges are both permanent solutions and can only be removed by visiting a dentist office. While crowns and bridges can last a lifetime, they require proper care. To prevent damage to a crown, bridge, or tooth implant, avoid chewing hard foods or ice. You should also practice good oral hygiene and visit your dentist for regular teeth cleanings to avoid dental disease. If you need dental crowns, dental bridges, or veneers, you deserve to be treated by the best dentist in NYC. 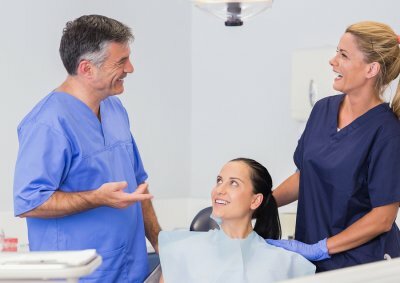 At Park 56 Dental , our dentist office exceeds all expectations. For the top dentist in NYC, call our office at (646) 783-3529. You can also visit us online to find out more about our general dentistry services.